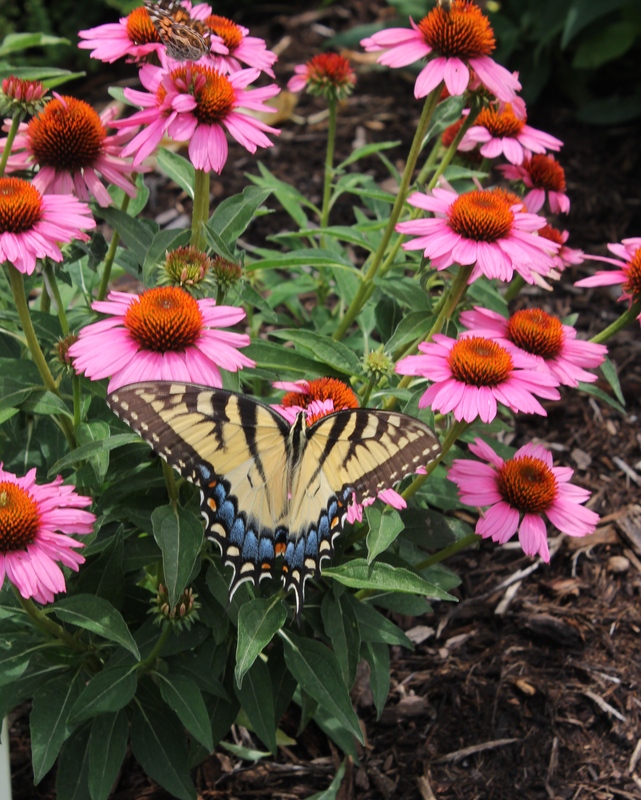 The butterflies are feasting on the echinaceas in the garden. I just caught this Eastern tiger swallowtail sitting still this week. You can bring amazing pollinators into your garden by planting lots of nectar-producing plants. One more fab favorite from the garden today...Echinacea ‘Julia’. 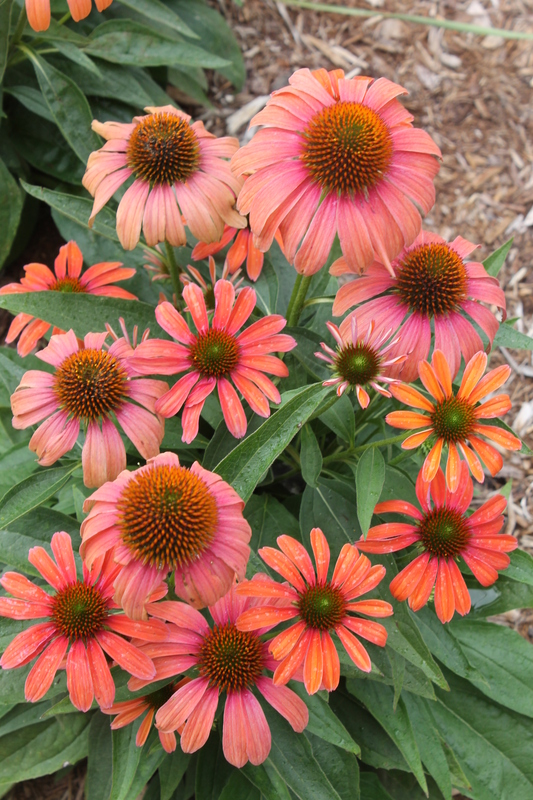 This wonderful coneflower is very compact and shows and grows well in the garden. The coneflowers are looking so good in the garden now, I wish you could all see them. 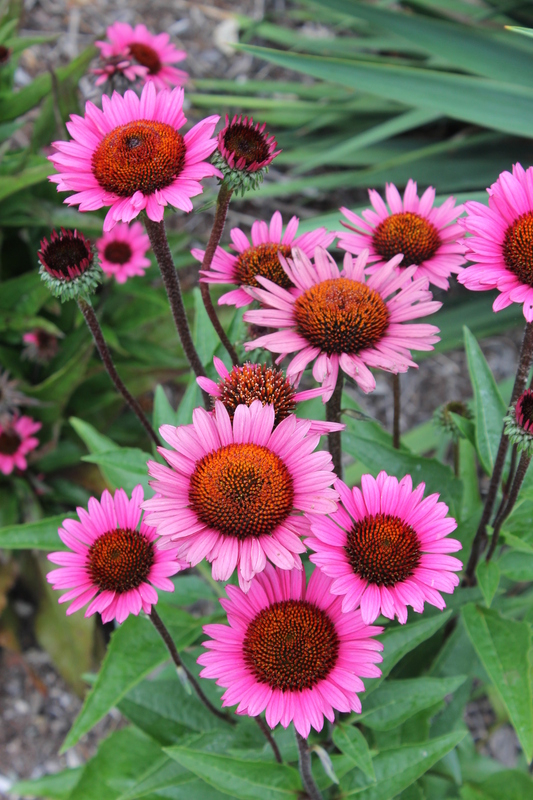 Here’s Echinacea ‘Fatal Attraction’…great black-purple stems, a compact habit, and just an all around great plant. 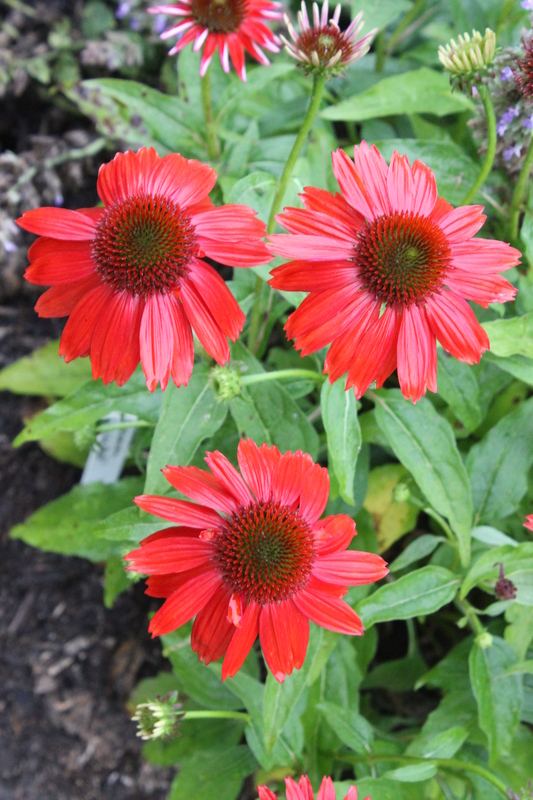 One final favorite…the very floriferous, but more compact Echinacea ‘Salsa Red‘ in the gardens today! 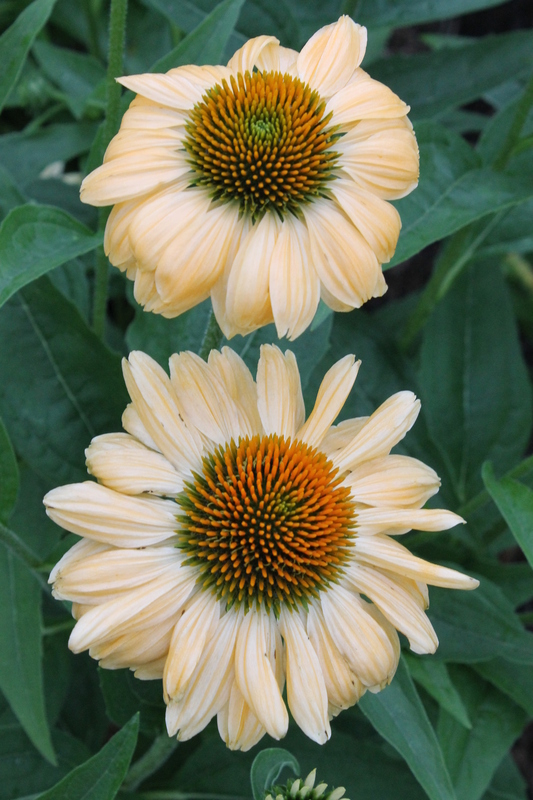 Here’s another coneflower that’s been a star in our trials…the creamy yellow-flowering Echinacea ‘Aloha’. All of these I’ve shared have shown excellent vigor, good perennialization, and have sturdy stems.